Just a 45-minute drive from downtown Palm Springs is one of America's great natural treasures - Joshua Tree National Park. 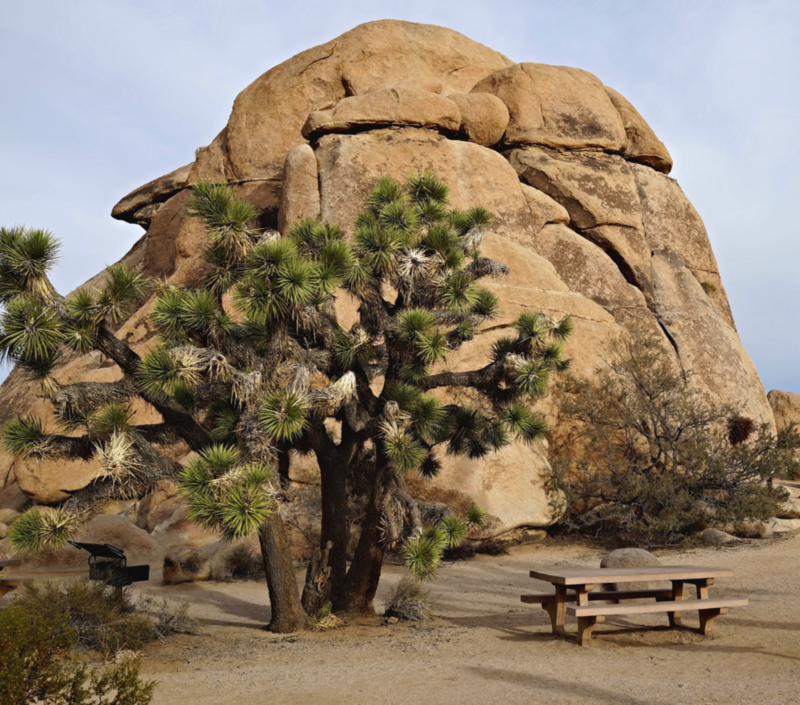 To spend a couple of days and nights in Joshua Tree is to apprehend the beauty of the desert. Far from desolate, the high-desert is full of life and beauty, serenity and space. The Mojave Desert tree, for which the park is named, is a picturesque evergreen found nowhere else in the world. The largest of the yuccas, a Joshua Tree takes 50-60 years to mature and can live more than 500 years. Campsites deep inside the park (Jumbo Rocks, Belle, White Tank) do not have water and power hookups, but in one of our rigs you'll have your own power and water for a couple of nights. Peacefulness and star-filled skies will be among your rewards. If you prefer a campground nearer to facilities, one that takes reservations, book Indian Cove. You'll be closer to town too, in case you would like to try (and you must) the best pie we've ever had - at The Natural Sisters Cafe. Consider too, an evening out at Pappy & Harriet’s Pioneertown Palace. 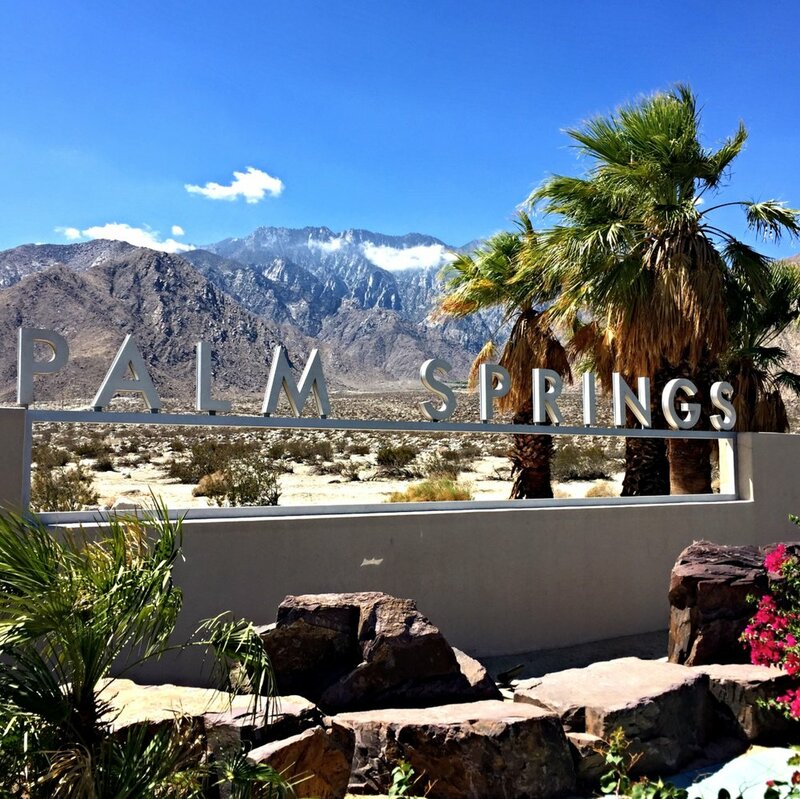 Why not include Palm Springs in your Southern California adventure. Yes, the playground of the Rat Pack and the Hollywood set. Yes, the home to mid-century modern. And yes, so much more - Palm Springs is hip and happening. There is a terrific food scene - mashing up old-school steak and cocktail bastions with new wave Vietnamese. There's everything from Japanese Izakaya, to farm-to-table foodie havens, vibrant takes on the California cafe to classic Italian and French. Plus the best pizza ever, Bill's Pizza and best burger ever, Tyler's Burgers! Shopping destinations are eclectic and unique, as well, with Palm Canyon Drive offering an engaging pedestrian scene. There's hiking into the beautiful desert landscape and the Aerial Tramway ride to the 8,500 foot high alpine mountain lodge. There are 100 golf courses in the valley and clear blue skies and sunshine 350 days a year. How about a biplane ride or dune buggy tour? Have you scene the famous and fantastical Robolights? Where the azure Pacific Ocean meets rolling hills of wild, preserved coastline lies the jewel of Southern California, Laguna Beach. Breathtaking natural beauty and the quaint village draw admirers from around the world. 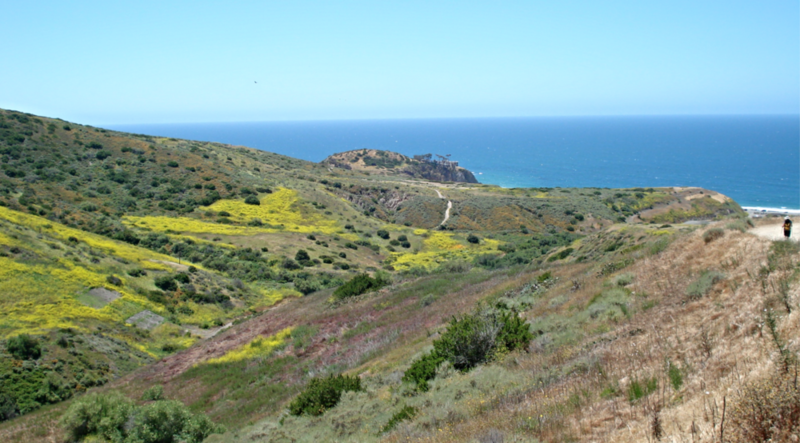 California's newest State Park, Crystal Cove - El Moro Campground, sits between Laguna and Newport beaches. There you will experience natural California geography, flora and fauna while being a short drive to world-class dining and shopping. The park has acres of hilly terrain to explore and a tunnel under the Pacific Coast Highway that opens to miles of unspoiled beaches (also a protected preserve area). You'll have a hilltop campsite, with the scent of sage in the air and the soothing sound of waves - announcing that you are somewhere special. Reserving a campsite in advance is smart, they book up fast - though "walking-up" has also worked for us, too. We are glad to help with arrangements.